Should one invest daily in a Mutual Fund? We grew up listening to the famous hare and tortoise story that taught us - slow and steady wins the race. This moral takeaway finds relevance in all spheres of life including investments. No wonder, we have Systematic Investment Plans (SIPs) becoming popular among investors. SIP is a great means of steady saving and investment for accumulating wealth over long-term. 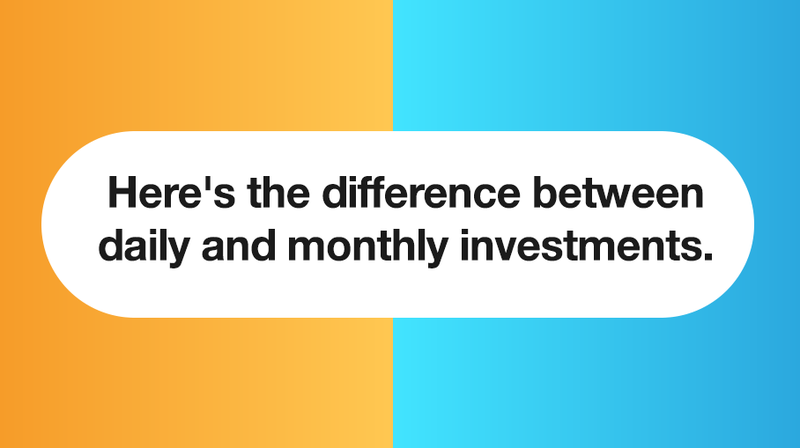 You can opt for weekly, monthly or quarterly SIP depending on the amount you wish to invest for wealth creation. Few fund houses have also introduced daily SIPs. 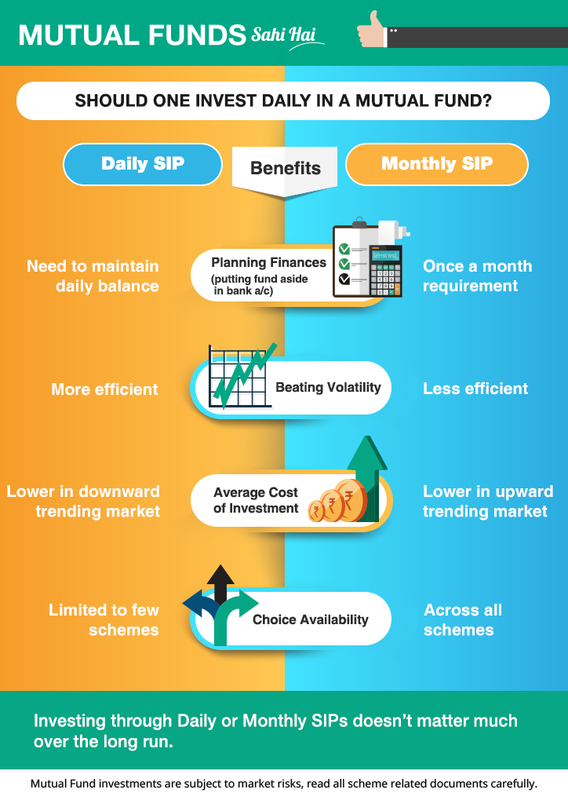 But does daily SIP help in higher wealth accumulation compared to the popular monthly option? Since SIPs are meant for long-term goal planning, it doesn’t make much of a difference to the amount accumulated over a 10-15year horizon while it may impact outcome over shorter horizons. Daily SIPs increase your transactions from one to twenty a month and may get difficult to manage. If you’re still wondering, “How to invest my money”? Monthly SIP is a good start.